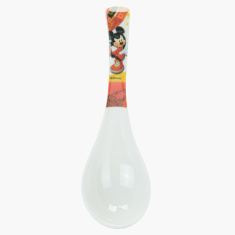 Mickey Mouse Printed Soup Spoon | Multicolour | Strong, durable and hygienic for babies and toddlers. Shaped for little hands to hold. 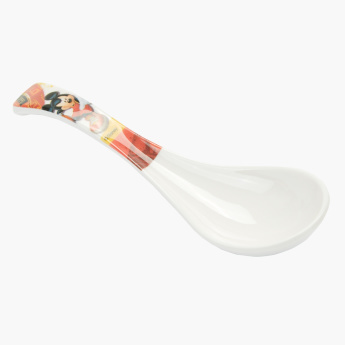 Just what you kid needs for enjoying a bowl of nutritious soup, this soup spoon is a must-have. It comes with a print of Mickey Mouse that will become your kids favourite. Feature 2 : Specially designed to developed the eating habit by fork and spoon with adorable character and color.